Today we had our first project in Digital Literacy. We had to come up with a Digital Identity for ourself. We could do it any way we wanted, whether it be a song, a video, a collage of pictures, but I choose to make a collage of words that describe me and how I communicate digitally. This is the result of my idea. I hope that it will impress people in my class as we have to post our submission up on the chat board for all to see. There are some pretty talented people in my class who have done some pretty good projects. I hope they also consider mine just as good. I am having fun in class and already feel like I am learning a lot. We had to read two different articles for homework both were very interesting. The first one was an article on Digital Natives and Digital Immigrants. I still have not come to a conclusion if I am a Digital Native or a Digital Immigrant. Since I was born right on the cusp of the Digital Age. But I feel like I have become a Native since I have always been into technology. The second was about Wikipedia and the pros and cons and why people feel it is a good thing and why people still fight the fact that it is the Encyclopedia Britannica of the digital age. 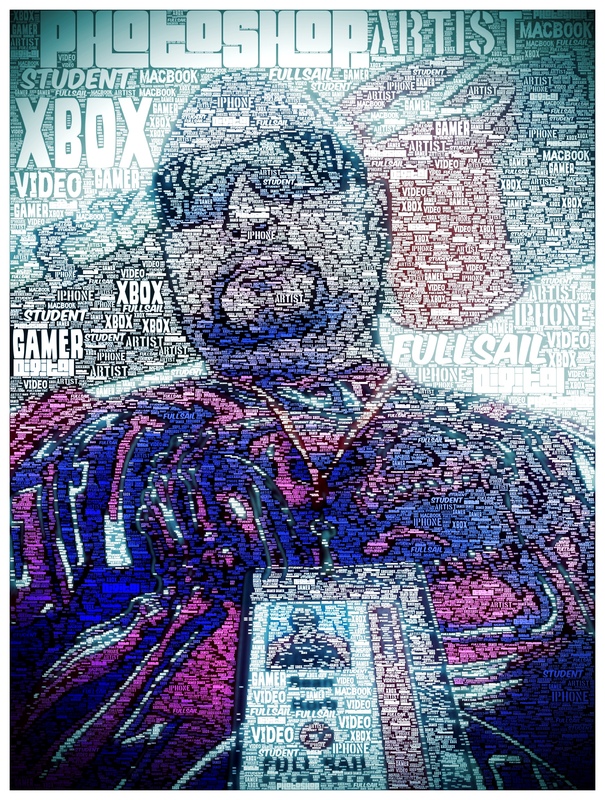 Posted on May 9, 2013, in My Art Work, News and Info and tagged Art, Bachelors Degree, Back to School, Class of 2016, College, College in my 30's, College Life, Digital Identity, Digital Immagrant, Digital Native, Full Sail, Sean Korb, University, Video Game Art. Bookmark the permalink. Leave a comment.